Yes, the same person has sent me these texts in one day during a tournament (the Rocky Mountain open, in case you were wondering which one). She was completely flabbergasted that I was playing pool all. day. long. But my first impulse was to respond with my own question: What do you think I’m going to do when I leave town for a pool tournament? Go swimming? But lately I have been thinking about it and I’ve realized that I am not quite the norm when it comes to these tournaments so I have decided to outline what happens in a typical tournament for me. First things first, I play a lot of pool. I’ll be warming up with friends, playing matches, running drills, or just breaking racks and working on my pattern play by myself. I can sit in a pool hall for hours at a time and just play pool with no break, especially when green fees have been included in the entry fee for the tournament. I’ll warm up for hours before my first match and in between matches I’ll hop in on any free table I can find. I’ll win matches and perhaps I’ll lose some, but until I’m out of the tournament my first priority is getting in some table time. However, when my matches are done for the day (perhaps I made finals and won’t play again until the next evening or I finally lost my second match and am out of the tournament) I am still not done with the hall. At this point I start scoping out the tables, seeing who is playing whom and on which table, and then I’ll shamelessly get the best seat to watch that match. But how can I sit and watch pool for so long? It’s quite simple, really. If I’ve scope out a match between pro’s, AAA’s, or even AA’s I’m not just passively watching pool. I’m actively participating. I’m running the rack a split second before they do, comparing my shot choices to theirs. I’m learning the game. I’m picking up on creative solutions to problem balls. I’m focusing on the English they are using, the speed, and their approach to every ball and every rack. I’m engrossed in it. I am playing pool vicariously through other people. I came to this hypothetical tournament with the goal of playing pool and potentially winning some money. But even when I’m out of the tournament I’m still there to pool. Whether to play pool, to watch pool, or to just be around pool, I am constantly learning more about the game. Between the hours of playing, the hours of watching, the hours of discussing, and the future tournaments being planned, it’s not surprising that I’m always busy at these tournaments. I am not one to lose my matches and then spend the rest of my evening at the bar simply because this is my time for pool. 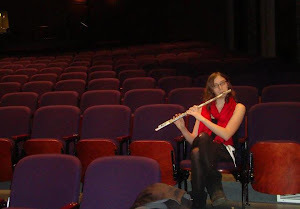 As a masters student studying music the week days are my time for flute, so leaving time for a tournament means a lot to me: it means I will shamelessly ignore everything else—even my hunger—for the sake of the game. It means that I will play countless games, spend dozens of hours in the hall, and meet tons of new people equally infatuated with the game as myself. Pool tournaments are not simply times for me to play a dozen matches and try to win money, they are times for me to spend every waking hour around a game that I love. So the next time I’m at a tournament don’t bother asking me what I’m doing or if I want to go out because I am there for one thing: pool.